Gated Stratford in the highly desirable Valencia Summit. Double master suites and 2.5 bathroom. Bright kitchen with eat-in dining has granite counters and stainless steel KitchenAid appliances. Cozy living room with fireplace and formal dining area. Downstairs master has door leading to the tranquil backyard. All windows have been upgraded to double paned windows. Backyard has a gate that opens to a large common grassy area. Direct access to 2 car garage. HOA includes pools, spas, tennis courts, clubhouse. Conveniently located close to the College of the Canyons, shopping, paseos and 5 freeway access. 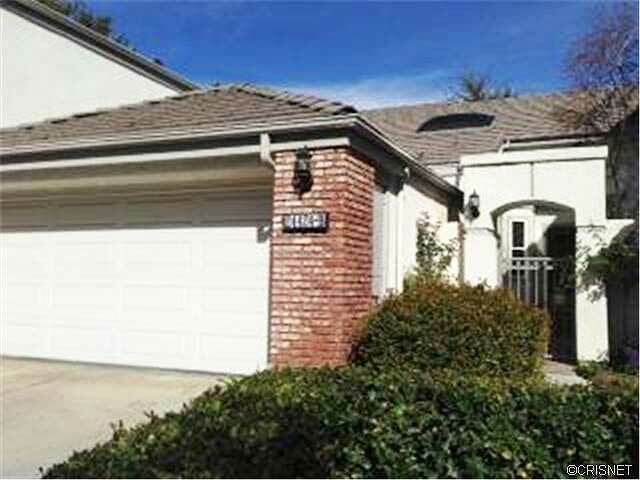 This gated community home at 24424 Hampton Drive, Unit B, valencia, CA, 91355 belongs to the Valencia Summit home owners association with access to the recreation center pools and facilities, as well the tennis courts. Close to the town center, YMCA, hospital, paseos and Valencia Summit park.